Such heart-breaking news being reported to us about about the earthquakes of Nepal. Millions of people right now are living without homes, food and water following the magnitude 7.8 earthquake its aftershocks. In these times its great to see a rallying round of people across the globe donating money and their precious time in aiding others, as well as organizations heading to the front line to provide Food, Water, Medicine and on-the-ground support to Nepal quake victims. Reach Out Worldwide, founded by the late actor Paul Walker has had heavy involvement in providing aid, as well as the British Red Cross, Oxfam, ActionAid, Unicef and many more. Singer Jack Johnson, well known for his charity work over the years and founder of Johnson Ohana with his wife in 2008, is urging fans to support the relief efforts of various charities by donating whatever they can. Jack himself has already donated to four charitable organizations – Waves For Water, GlobalGiving, Direct Relief and Revolutions Per Minute’s “When Disaster Strikes” fund. Additionally, Jack has donated over 2500 pieces of his clothing range – including long-sleeve shirts and sweatshirts to Operation USA for shipment to Nepal. Waves for Water – Nepal Relief Initiative: Organizing a strategic response initiative to provide victims with access to safe water. The first phase involves distributing portable water filtration units to community centers and families. The second phase of relief includes implementing longer-term solutions such as rain-water harvesting systems. GlobalGiving – Nepal Earthquake Relief Fund: Donations will fund First Responders and provide immediate needs for food, fuel, clean water, hygiene products and shelter. Once initial relief work is complete, this fund will transition to support longer-term recovery efforts run by local organizations. Text GIVE NEPAL to 80088 to donate. Direct Relief – Nepal Earthquake Response: A medical relief organization sending shipments of emergency medicine and medical supplies to Nepal and India-based healthcare partners to mobilize resources needed to care for those in affected areas. Revolutions Per Minute – “When Disaster Strikes” Fund: RPM’s disaster response strategy helps musicians and artists play a critical role in raising funds and focusing attention on longer-term recovery to help communities rebuild. 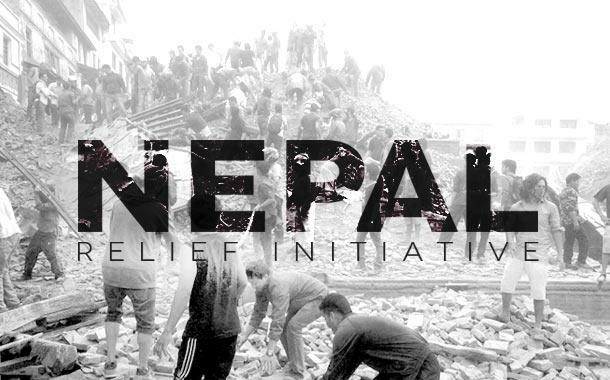 RPM is partnering with the Center for Disaster Philanthropy to direct funds to fully-vetted organizations working on-the-ground in Nepal. Reblogged this on oxjam melton.